So, you’ve seen all the pictures and read about all the benefits but want to know how it works before you buy one? That’s easy! 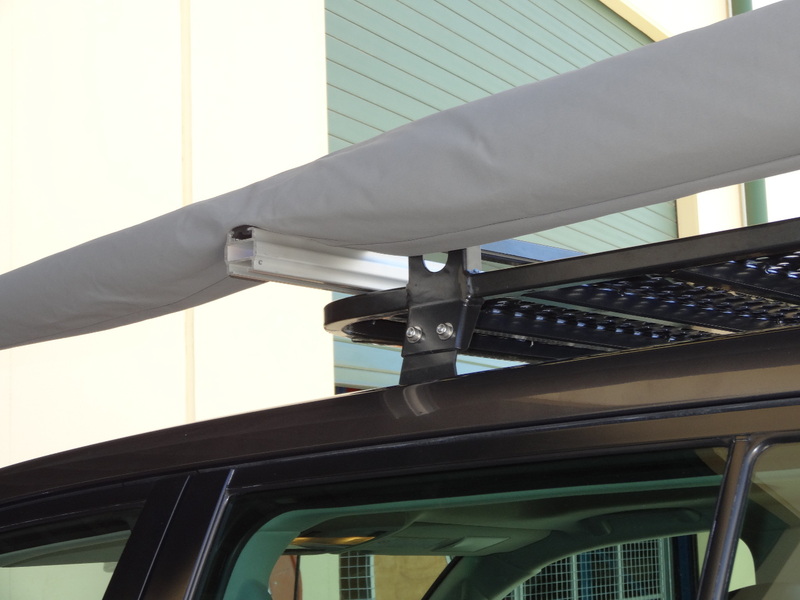 The first step is to make sure you have a suitable roof rack bar for the CleverShade to fit into. 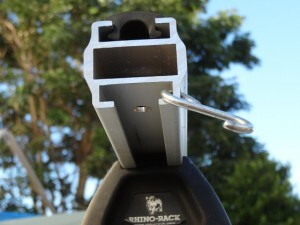 Below you’ll see a picture of one of our roof rack bars installed on a Rhino-Rack system. 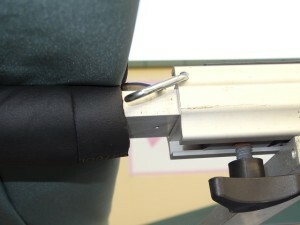 The CleverShade slides into the roof rack bar and the hole you see underneath has been drilled to allow the locking screw to hold it in place. 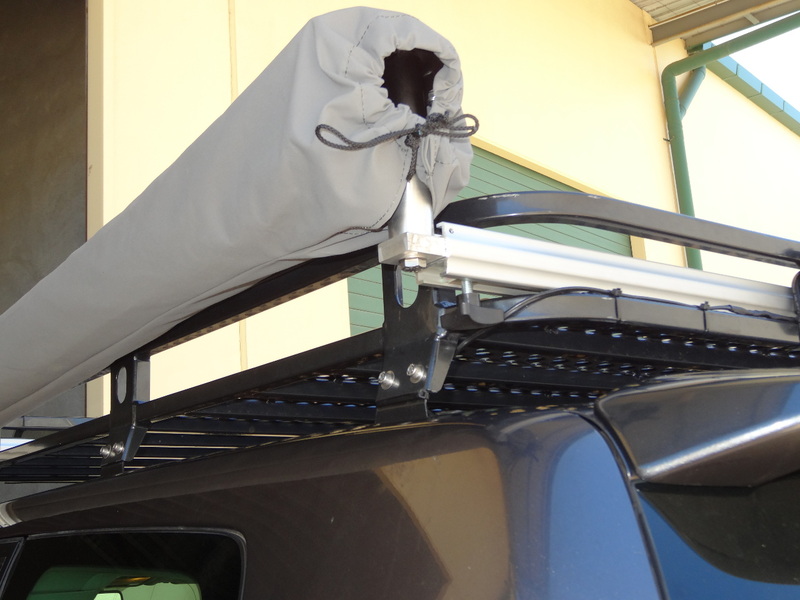 The locking component (included with the purchase of your CleverShade) slides into the bottom section of the roof rack bar and is then tightened as needed to secure it in place. You can see the screw at the bottom that can now be tightened to hold it securely in place and from there you’re good to go. For instructions on how to unfold your CleverShade so you can chill in the shade, check out our CleverShade installation instructions for all you need to know. It’s simple, quick and weighs an incredibly light 15.5kg meaning almost anyone can handle the installation and set up. We know people are curious about what the CleverShade looks like packed away. 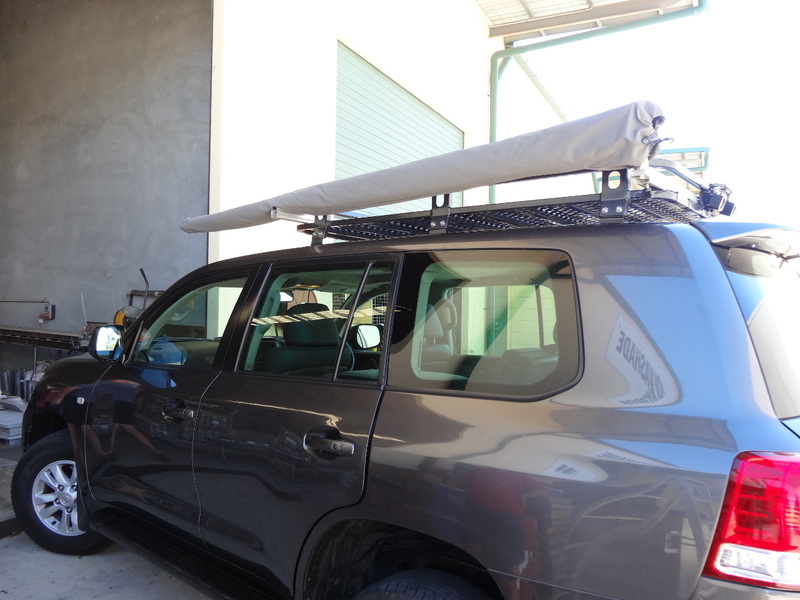 So here’s a few pictures to show just how little space your awning takes up when not in use. Now isn’t that clever?